Middle schoolers participated in the Summer Transportation Institution at UMES during June 19th to July 7th, 2017. This program provides awareness and hopes to stimulate interest towards transportation and STEM-related careers. Students are able to explore these fields through field trips and hands on activities. 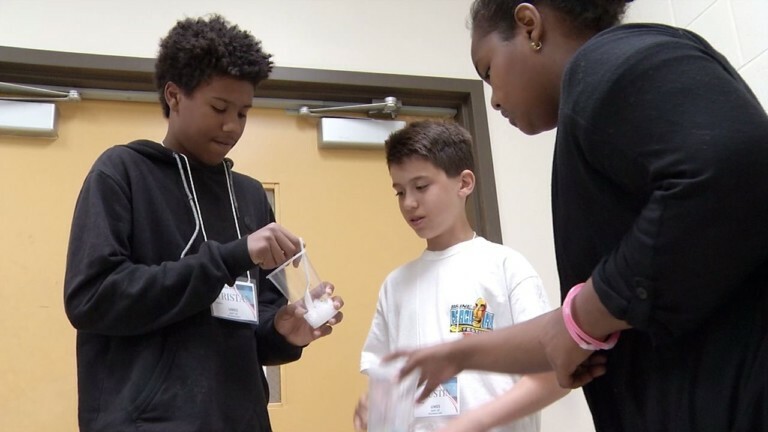 This week, they partnered with the 4-H Stem Initiative from University of Maryland Extension. This initiative hopes to enhance and expand STEM in Wicomico, Worcester and Somerset County. For upcoming activities, in order to teach the students about transportation, they will be heading to the Lewes ferry and also to the control tower at BWI.